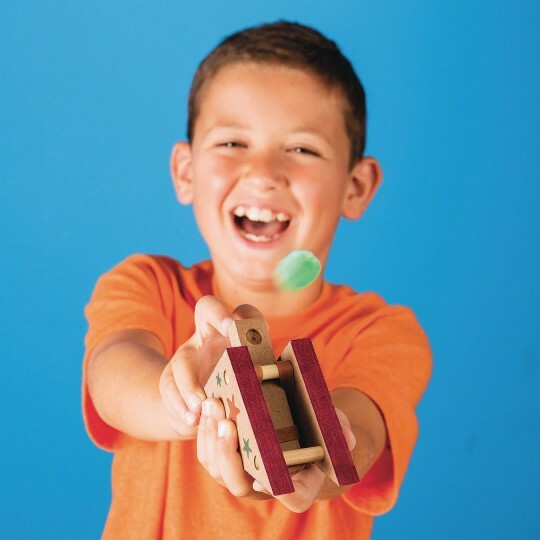 Everyone will love launching little pom catapults! For a fun challenge, see who can launch their pom into a cup. Includes all supplies. Finished size: 5"L x 2"W x 3"H.
This was expensive for what you get. It is difficult for children and adults to put together. 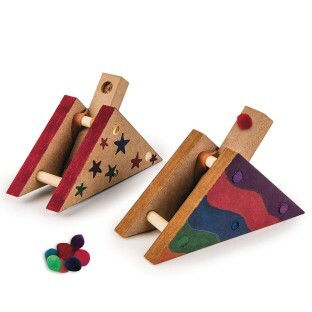 Once these were together they were fun to use and children can take them home to have for a while. The pompom balls that were given to use with these were much too small and not dense enough. I had to use other things rubber balls that worked much better. Used this for 6 year olds and they loved it. 1st-4th grade kids loved the finished product! Elementary-aged kids loved playing with these when they were completed. We had them make a target on a paper plate and practice launching their little pom poms--fun! That being said they were difficult to make. Expect to have plenty of adult helpers. The how-to video was very helpful and necessary for the adults to be able to figure it out. We ended up using Super Glue instead of the glue included because we wanted them to dry in time to play with them. We only had a half-hour per group. It's tricky to get the dowels lined up right as well as get the rubber band on right and then more dowels. They were able to decorate them independently and make a target. 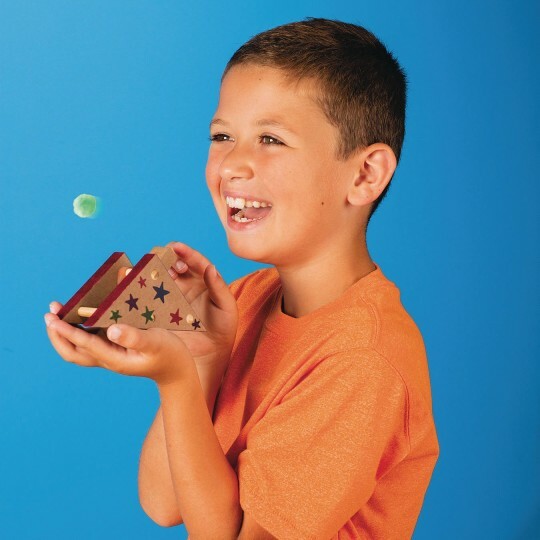 If you have plenty of help the kids thought it was a fun project so I would recommend. Most crafts are not so fun after you are done making them! 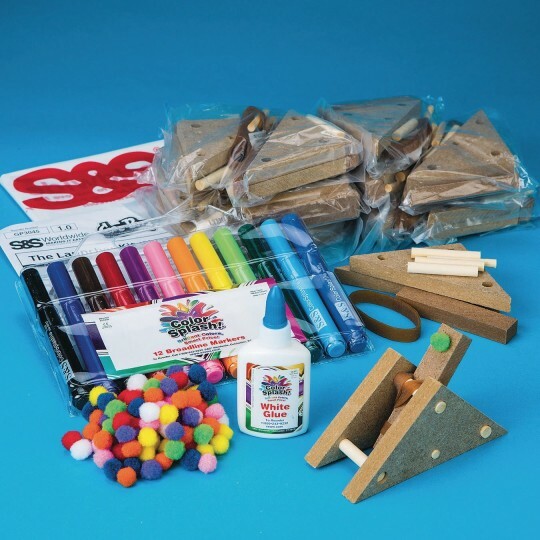 This is used as part of our fine motor and art activities with our homeschool program. I would highly recommend this product for both uses.